As the weather changes, keep in mind some of the safety issues that come with the change in seasons. These tips will help you start off the season on a safer note. Fall brings more driving hazards, wet pavement, darker roads earlier, falling leaves, and condensation. Take extra care when driving and allow for more time to get to destinations. Before the cold winter weather sets in, make sure to call your heating and cooling company to service your furnace. The technician will check for leaks and ensure that it is in working order. 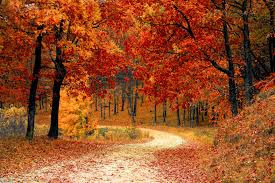 Falling leaves and wet pavement doesn't just apply to the roads, your walkways are at risk too. Protect your health. Get a flu shot, make sure to clean communal spaces, avoid contact with those who are sick, and try and stick to a healthy diet and exercise. 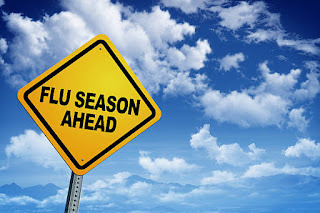 Also practice frequent hand washing, cover your mouth and nose when you cough or sneeze, and stay home if you get sick. The clocks "fall back" this season. With the time change it's also a great time to check the batteries in your smoke alarms and carbon monoxide detectors. This is the best defense available against the flu. 2) Practice Frequent Hand Washing. Hand washing should occur after blowing your nose, coughing, sneezing, being with ill people, and especially before you eat. 3) Avoid Contact With People Who Are Sick. Flu transmission can happen via many different points of contact. For example if someone you come into contact with is starting to get sick avoid contact like shaking hands, and keep your hands away from your face so that viruses do not invade the mucus membranes in your nose, eyes, and mouth. 4) Maintain a Healthy Lifestyle. Eat right, exercise regularly, and get an adequate amount of sleep. Monitor your stress levels and try and take steps to reduce them. 5) Clean Communal Areas Frequently. Keeping your surroundings clean can Spaces like telephones, desks, doorknobs, shopping cart handles, kitchen counters and computer keyboards should be wiped regularly with disinfecting wipes or solutions. Dispose of tissues used for coughs and sneezes immediately and appropriately.